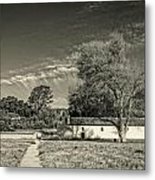 La Purisima Mission by Bill Boehm - 10.000" x 6.625"
La Purisima Mission framed print by Bill Boehm. Bring your print to life with hundreds of different frame and mat combinations. Our framed prints are assembled, packaged, and shipped by our expert framing staff and delivered "ready to hang" with pre-attached hanging wire, mounting hooks, and nails. 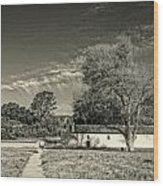 There are no comments for La Purisima Mission. Click here to post the first comment. Bill Boehm is a graphic designer, illustrator and photographer living in the Huntsville, Alabama area. His first camera was an Olympus Pen which he received when I was a young boy. 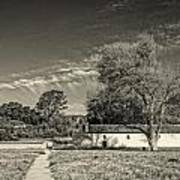 He has been a photographer since his college days at the Art Institute of Fort Lauderdale. He has used 35mm, Medium Format, and Large Format cameras. Bill currently uses a Sony NEX-7 digital camera for his photography. Bill likes to concentrate on travel, nature and the outdoors in his photography and have sold many photos in the nature and travel genres. He also does commercial photography work for advertisement purposes.